From its first defiant line, "Jesus died for somebody's sins, but not mine," the opening shot in a bold reinvention of Van Morrison's Sixties garage-rock classic "Gloria," Patti Smith's debut album was a declaration of committed mutiny, a statement of faith in the transfigurative powers of rock & roll. 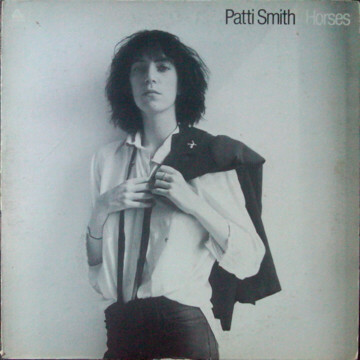 Horses made her the queen of punk before it even really existed, but Smith cared more for the poetry in rock. She sought the visions and passions that connected Keith Richards and Rimbaud – and found them, with the intuitive assistance of a killing band (pianist Richard Sohl, guitarist Lenny Kaye, bassist Ivan Kral and drummer Jay Dee Daugherty) and her friend Robert Mapplethorpe, who shot the stark, beautiful cover portrait.